We can’t even understand emotion in other humans; we certainly can’t fully understand emotions in our best friend – dogs. All we can do is make assumptions based on behavior and suspect they have human analogs. But we can’t be sure. Chaz’s mission from that point forward, as one of my lifelong friends, was to continually accuse me of saying dogs don’t have emotions. Which isn’t what I said at all. So . . .
From a physiological standpoint, the emotional center/structure of the human brain has an analog in the canine brain. They also have hormones like oxytocin in their brains and go through the same changes in brain chemistry as humans do when they experience strong emotions. 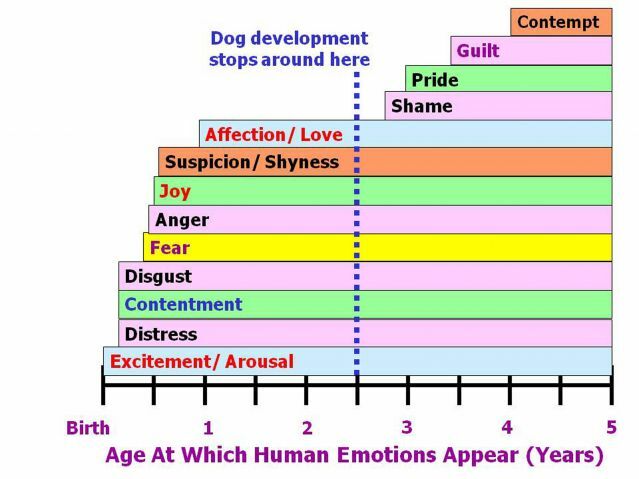 So the answer is pretty clearly yes; dogs do have emotions. But Can We Understand a Dog’s Emotions? First we need to understand that even with other humans, the only way we can gauge and judge emotions is through the actions of others. It’s a little philosophical, but I have no guarantee that you feel the emotion “regret” as I feel the emotion. In fact, it’s pretty obvious if you think about it – some people experience emotions much differently than others. Some people don’t even have the same emotions you and I have. After all, there are many people with no empathy for others. Some people seem incapable of love. We have barely begin to scratch the surface of human emotion. We struggle to understand each other. … you come home and your dog starts slinking around and showing discomfort, and you then find that he or she has left a smelly brown deposit on your kitchen floor. It is natural to conclude that the dog was acting in a way that shows that it is feeling guilty about its transgression. However this is not guilt, but simply the more basic emotion of fear. It was a rainy day in Pittsburgh. Thunder and lightning started sounding and flashing through the sky. My beagle, Cassie, came running up after a particularly loud clap of thunder. Her tail was wagging happily and she had her heart-melting “smile” on her face. She was just so cute – so I let her jump up on my lap. Which is exactly what she wanted – not because she was happy, but because she was terrified. Once on my lap, she started shaking and buried her head under my arm. So why did she act happy? Why the smile, and the tail wag? Because she’s learned that the easiest way to get into my lap is to act happy. She was probably experience the emotion of fear, but she portrayed the actions of a playful puppy. This is the same as a human having a “stiff upper lip,” or “crying on the inside.” She hid her natural reactions when she felt the emotion of fear and instead showed me the actions of playfulness. So, can we understand the emotions of dogs? Sometimes. Maybe. It’s dangerous to assign human emotions to dog emotions. While we are both mammals – we are different species. We evolved differently and we can’t assume a dogs emotions have perfect analogs with ours. Heck – we can’t even assume the same between each other. 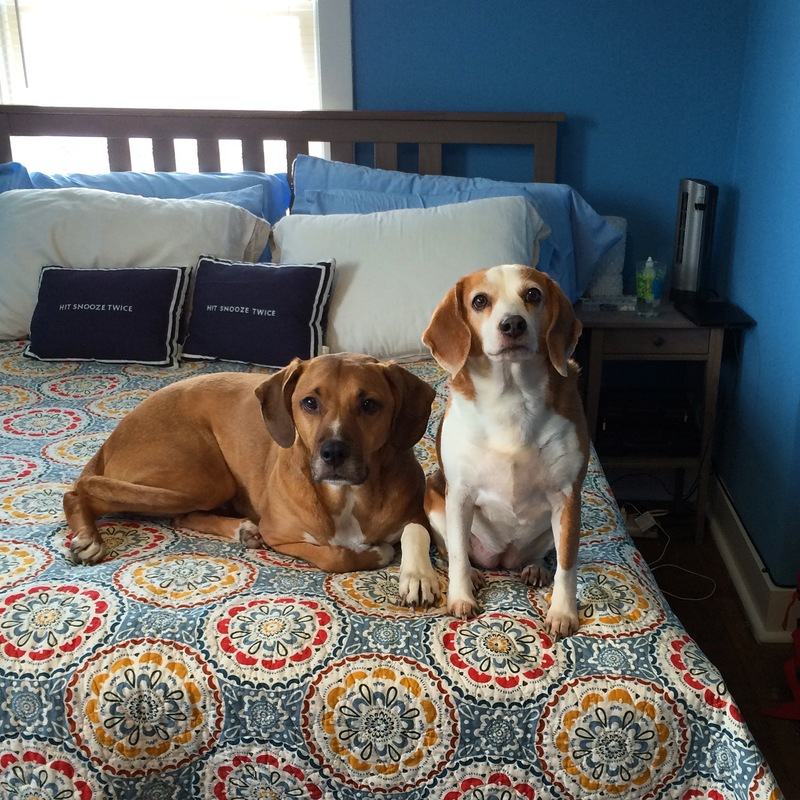 Cassie proved that behaviors in dogs are learned, powerful, things and can mask actual emotion. I have no doubt dogs have emotions and I suspect that many of them are similar to our emotions. However, I just don’t know. And neither do you. Or anyone else. Behavior is a great indicator of emotion, but as we’ve seen here – that can be tricky. Brain scans of canine brains is good too, and I’m sure it’s getting us closer – but ask yourself this: do you actually understand the emotions of another human? If you’re being honest you’ll admit that you don’t. Is it such a stretch, then, to accept that we can’t assume dogs have the same emotions that we have as humans?